Everyone at the SGA would like to pass on condolences to the family of Sheila Beattie, our office manager, who sadly passed away on Sunday evening following a brave battle with cancer. A faithful servant to the SGA, Sheila was highly popular with members and her skill, drive and personality transformed the office. SGA Chairman Alex Hogg, the Committee and her colleagues wish to pass on our thoughts and strength to Sheila's family. 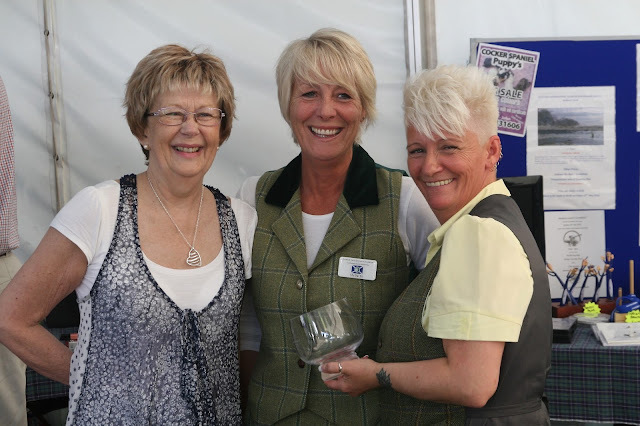 Picture shows Sheila (left), Mo Baillie and Hazel Reddington after Sheila collected the GWT Gamebird of the Year award in June at the Scone Game Fair.